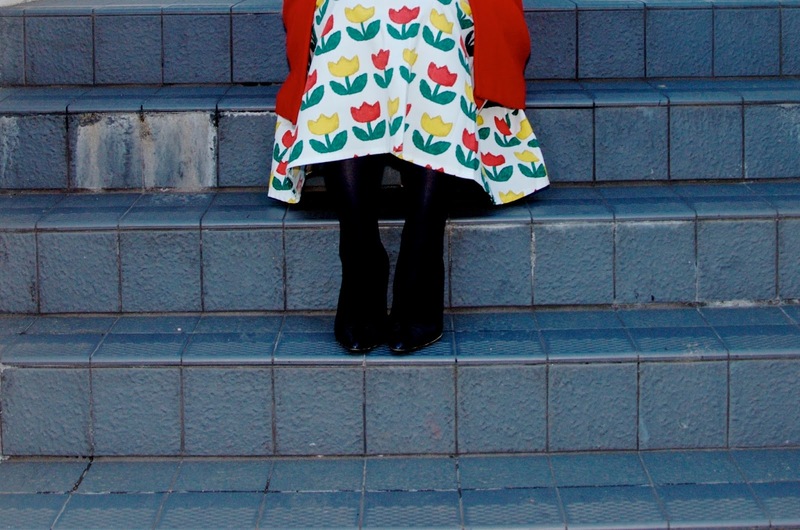 Nothing says springtime for me like a full skirt in a bright print like this cutie, the Emily Skirt in Tulip from 405story, a fun new womenswear label inspired by the California coast and named for the 405 freeway. 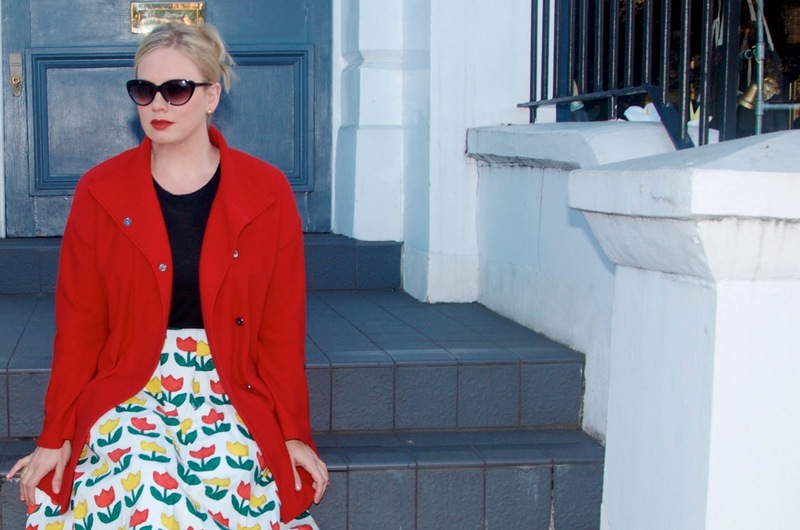 Celebrating classic style with quirky, fun updates and prints, 405story is a great option for adding a little more colour and shape to your wardrobe. 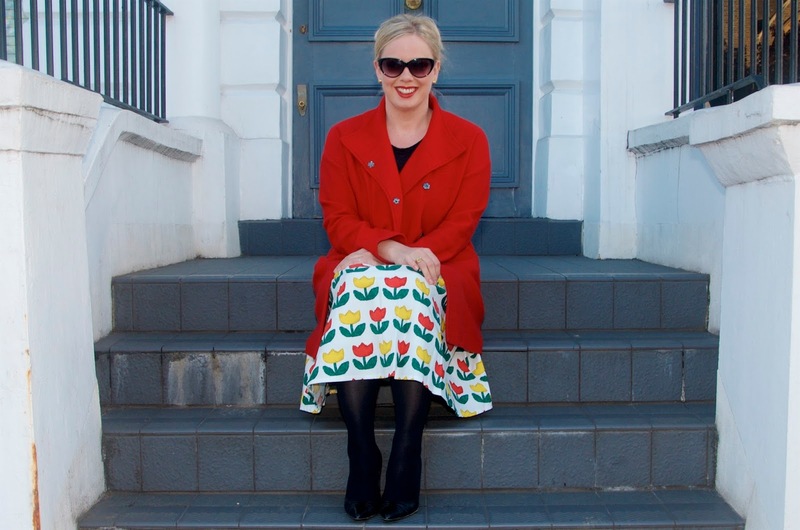 This midi skirt is just adorable with pockets at the hip, a cinched waste and wide box pleats, all of which give it a flouncy volume. 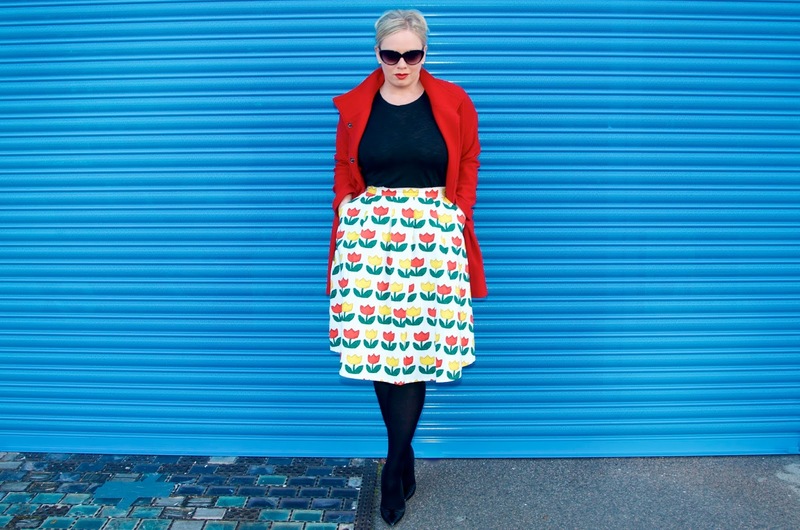 The Emily Skirt is 100% cotton, fully lined and beautifully made. 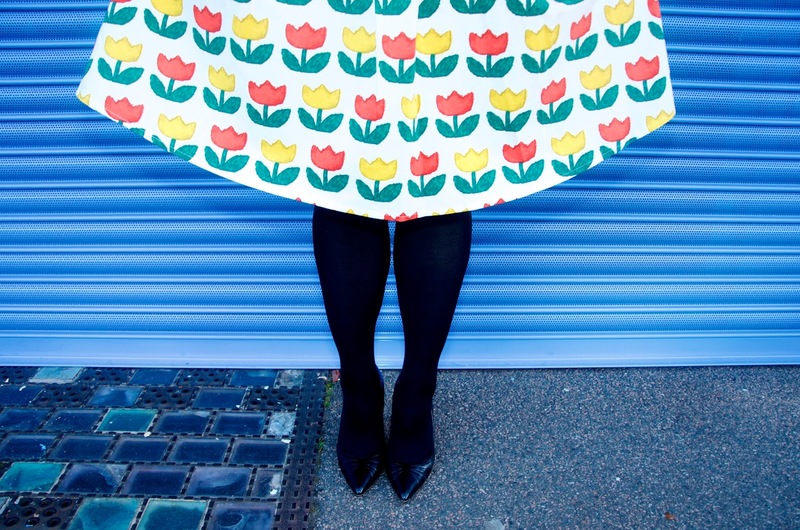 The tulip print is just perfect for Spring, but this skirt also comes in two other fun, colourful prints including Daisy and Botanical. 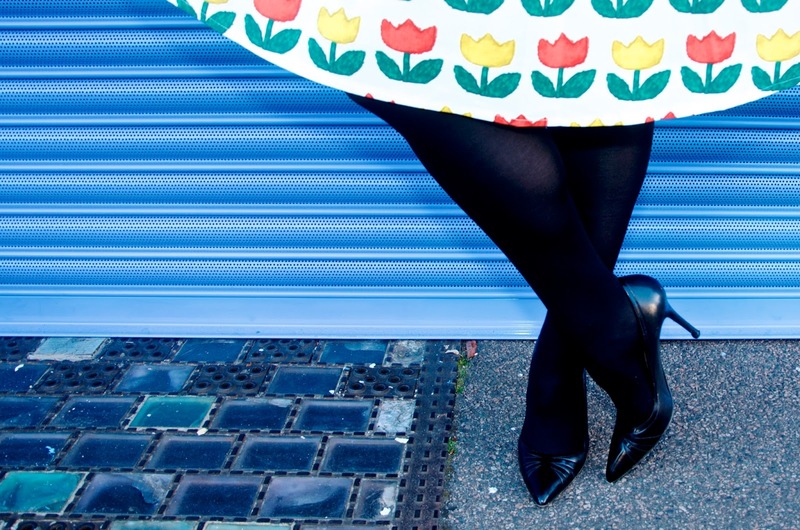 Pair one of these adorable skirts with a chic pair of heels for a classically chic vibe or pop on a pair of plimsoles for a fun, casual look... 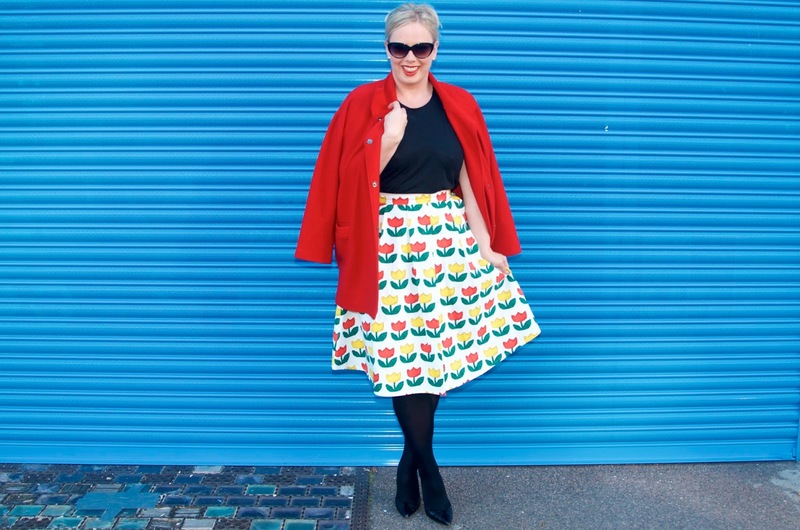 However you choose to style a statement skirt like this, you really can't go wrong and it will add a bit of colourful whimsy to your look every time you wear it. 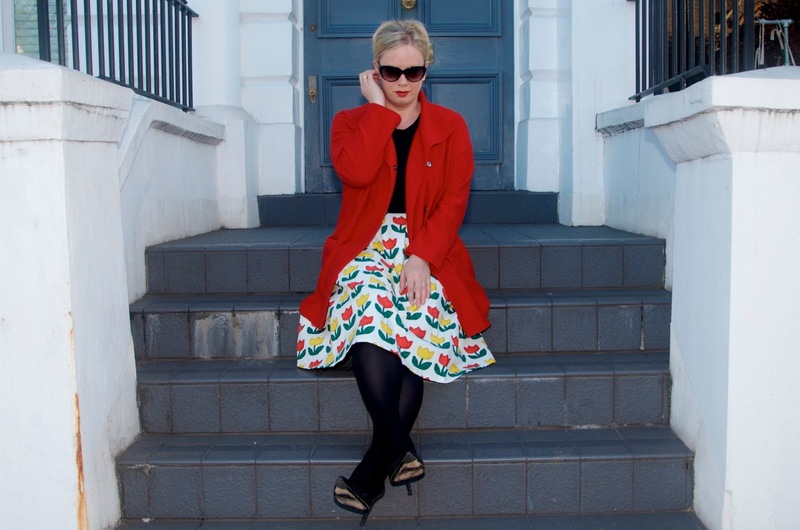 We're having a cold snap in London, so I'm wearing my Emily Skirt with tights, heels and a chic red coat, but I can't wait to style it for the warm summer days ahead!